I recall a conversation while watching an old training video of Ben Moon and Jerry Moffat that went something like this. Makes me feel like training. Makes me feel like not eating. In gravity sports weight is key and there’s no way to beat around the bush about it. Sure, there’s an occasional mutant who climbs hard without a totally lithe frame (see most of the WFH pics as examples) but it’s far from the norm. Gravity ensures that no amount of muscle strength can offset the power and endurance increases that you make when you lose weight. We see a more telling example in linear sports such as cycling where technique is not as varied. When roads are flat heavier riders rule. But as they turn upward weight becomes more and more of an issue to the point where the fastest times up mountains are from men who often resemble elves. There’s a simple reason why no one wins the Tour weighing more than about 150 pounds and it’s the same as why no one could keep up with Legolas on a three day run: size matters. 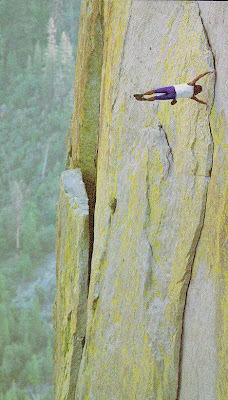 In any training program for climbing weight should come into play at some point. Like cyclists, runners, boxers, and wrestlers, most of us don’t walk around at fighting weight. And it’s not just because we like to drink beer and eat ribs in the offseason. These sports require us, at our best, to weigh less than our bodies naturally would. The strategy for how to lose this weight is tricky. When doing high volume training it’s easy to lose weight but, if you are trying to increase muscle mass at all, it’s impractical to under eat because you risk not recovering from exercise and, thus, wasting the time you’ve been training. Therefore, I always target weight loss while I’m power training. Overview note: this is only if you are already at your natural weight. If you have excessive weight to lose it should be done during all phases of your program, as far away from your actual competition dates as possible. This type of weight loss should be slow, steady, and accomplished by eating clean and exercising. Today’s example is how to get down to fighting weight only. Anyways, so why during the power phase? Because power training is lower volume and higher intensity than any other phase. This means that you aren’t as hungry as when your body is altering its amount of muscle mass. Thus carbohydrate consumption can drop without your brain going into full revolt (your brain functions primarily on glycogen). In short, the power phase is the best time to streamline your diet to recover from exercise and feel good. I began the WFH at 173. After the hypertrophy phase I’d creeped up to 178. After three weeks of power I’m at 165. I accomplished this without a lot of suffering or going into nutrient bonk. My technique is a combination of the Shakeology Cleanse, zig zag dieting, and an old trick we used to call the egg diet. 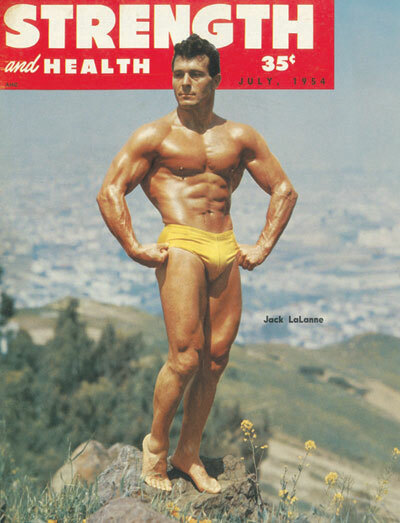 The egg diet was a ridiculous Atkins-stage-one-type of thing where we’d eat a ton of eggs (for protein) and little else to boost our metabolisms. My current plan used only used one aspect: eggs for breakfast (3 eggs with some diced veggies). My next meals are Shakeology, sometimes with some added fruit. Shakeology shines here because it’s so nutrient dense, or high in nutrients while low in calories. Dinner, also a-la the Shakeology cleanse is a salad or something similar, like a veggie dish. I allow any healthy additives: nuts, seeds (always chia for me), legumes, more eggs, balsamic/olive oil (no meat). Overall calories for me on these days is low. I don’t count but they’re in the 1000-1500 range. Finally, I enact zig zag principles, eating one to three days per above (three to four days per week total) and normal on the other days. This way I stay strong and energized and can continue this diet for as long as it takes to get to where I want to be. Each week I tweak it slightly, based on the prior week’s success, until I’m ready to rumble. 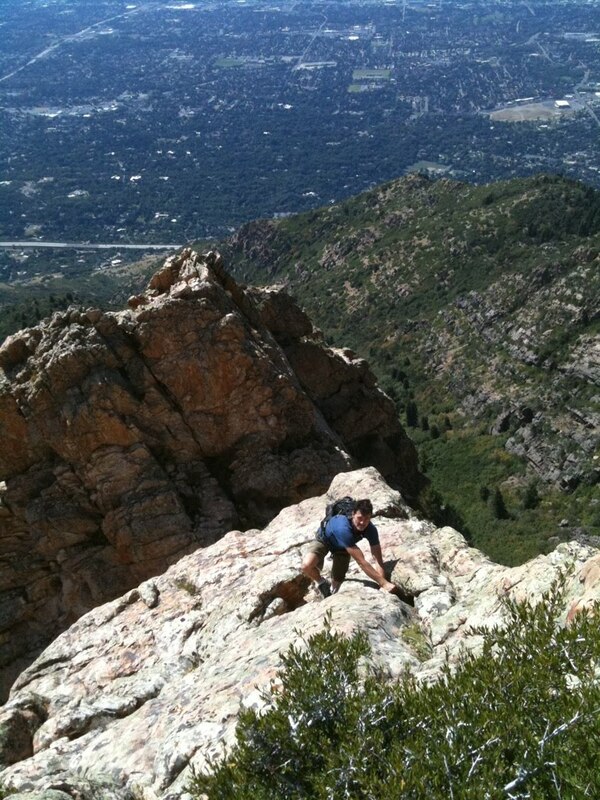 Moving into the final phases of the Workout From Hell consists of, finally, doing a lot of climbing. No matter how you train for climbing it’s never going to be effective without doing a lot of climbing. It’s such a subtle sport that nothing prepares you for it like doing it, and doing it a lot. 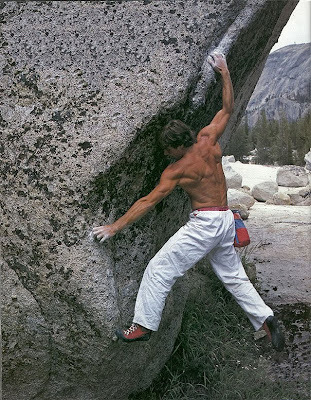 Because without climbing regularly not only does you kinesthetic movement suffer but more simple factors, like having ample skin thickness for hanging sharp holds and pain tolerance and wearing tight boots will keep you from applying the strength gains you’ve made. On Saturday I warmed up at a cliff then came home and got on the board (home boulder wall) for the first time since last winter. I went through my training circuits and easily did each problem. Then did some of my harder problems, most of which went fairly easily. I stopped prior pushing myself too hard as my skin and fingers aren’t up to intense movements yet. Two things were clear: one that my base fitness is stronger than it’s been in years and the other is that I feel so awkward that I may have left this final phase a little late. It takes a while to transfer fitness onto the rock and my schedule is hectic right now, meaning I get out less than normal so I can’t spend whole days climbing and the transition will be a bit slower than normal. This isn’t a huge deal as I can always push the season a little longer. When our weather gets bad there are generally climbable windows well into December. Part I is two to three (or even four if it’s going well) weeks of climbing hard three days per week. For me this means trying to onsight and redpoint at my limit so that I finish each day tired. If climbing two days on, like on a weekend, I like to work routes at or above my limit on day one and then do mileage on day two. One full body (but not climbing specific) PAP workout per week (probably on Monday). This is cross training to keep preparing for next year’s agenda (more on this specifically later). The mid week climbing day will also have some training around it. I’m experimenting with PAP as a part of actual climbing performance and will post what this consists of if I find that it works. One or two days of running, riding, adventuring each week. Two if they are shorter days, maybe only one if it’s a long outing. This is moderate exercise that serves a threefold purpose: prepare for next year, help lose weight for climbing, have fun (since this stuff is kind of what I live for). A few yoga sessions per week. During this period I’ll pick a few projects that seem doable this fall. Part II will then be to concoct a short training cycle (similar to this one) and finish my season by trying them. pic: peter croft ropeless on the rostrum. he calls is mileage, more call it adventure, most call it madness. Then the President interrupts me and says "I totally agree. We definitely want to hear more about what you are doing - and I mean that." He turns to his entourage and says "Let's make sure of that, ok guys? I want to make sure we follow up and connect with them to hear what these guys are doing." Just get up off the ground, that's all I ask. Get up there with that lady that's up on top of this Capitol dome, that lady that stands for liberty. Take a look at this country through her eyes if you really want to see something. And you won't just see scenery; you'll see the whole parade of what Man's carved out for himself, after centuries of fighting. Fighting for something better than just jungle law, fighting so's he can stand on his own two feet, free and decent, like he was created, no matter what his race, color, or creed. That's what you'd see. 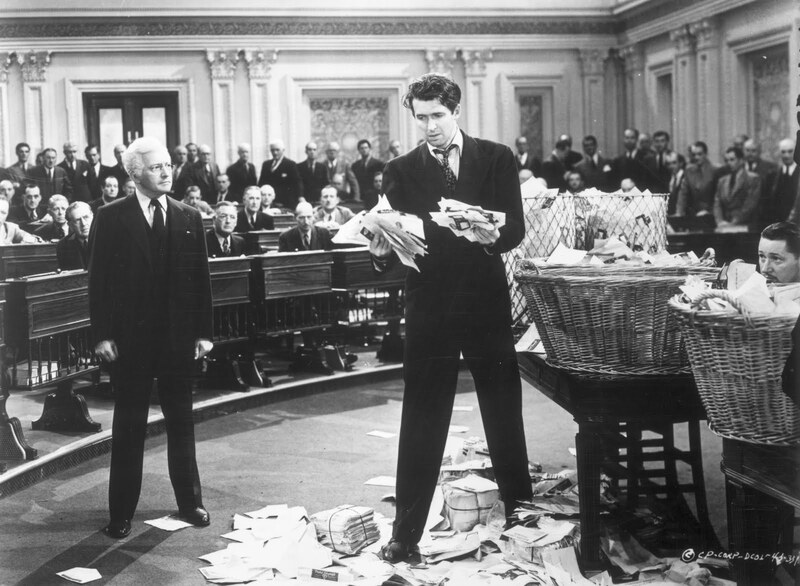 There's no place out there for graft, or greed, or lies, or compromise with human liberties. And, uh, if that's what the grownups have done with this world that was given to them, then we'd better get those boys' camps started fast and see what the kids can do. And it's not too late, because this country is bigger than the Taylors, or you, or me, or anything else. Great principles don't get lost once they come to light. They're right here; you just have to see them again! 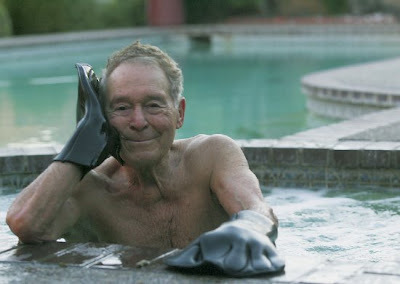 Friday’s psyche post is teaser for P90X: next. I just put our in-house MC2 (that’s Muscle Confusion 2) test group through their first PAP (postactivation potentiation) workout and they are absolutely destroyed, but in the best possible way. Along the lines of Tony’s “I hate it, but I love it” ARX description I was getting various quotes of conflicted praise from our (very fit) group. By the time I cut their workout a bit short of what I had planned these statements evolved into “Insanity (commonly thought of as our most intense program) has got nothing on this!” Yet these were not disparaging words. They were affectations of love and the group was pining for more. Not today, mind you, but in the future. What this style of training does if take all of the fitness gains you’ve been making using 90X, Insanity, or whatever your advanced fitness training program has been and turn it into performance. In other words, you will: run faster, jump higher, be stronger. I know, you’re doing that already. Now we bring you into focus even more. The workouts don’t look like much on paper. In fact they don’t look too hard when you observe them. But your weaknesses will get exploited, and by following the scientific principles of PAP each repetition of each set is done at your maximum and the cumulative result is devastating, in an oh-so painful yet blissful way. You will hate it. But I guarantee you will be in love in what your body will be able to do. vid: an example of what some focused power training can do for you. this guy wasn’t meant to be a high draft choice until this video came out. now he’s about to be rich. File this post under purely experimental but, for those of you looking for an edge and willing to take some risk, here ya go. 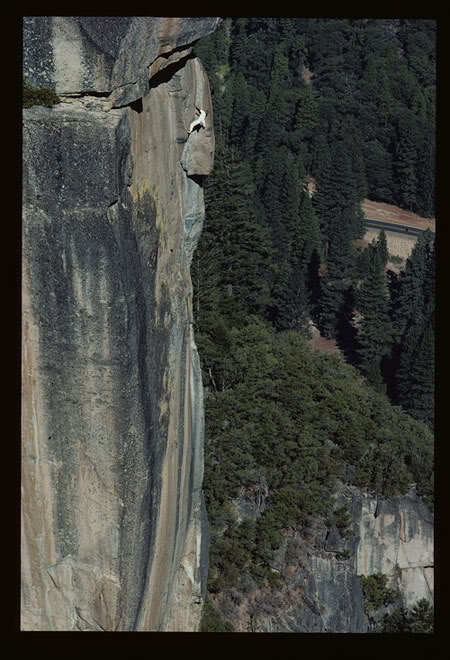 This is what I’m doing currently on my climbing specific days. If you stumbled upon this post randomly you’d best read the backstory first. In fact, you should probably read the entire Workout From Hell. Warm-up must be thorough, just as it would be for any campusing workout. Mine varies from a slow dynamic warm-up, to bouldering in the garage, to actually going climbing. I follow this with some light band work for all the upper body muscles. The point is that you’re beyond just warmed up before hitting the boards; you want to have put your muscles through some duress. 4 sets. About 1 minute between sets. Move to the next exercise as quickly as you are ready. Hang, two arms small edge w/weight to failure (3 to 8 sec tops—if you make 8 add weight next set), campus board ladders (1,3 5, 7, 9 - ideally harder moves done here but it’s about all I can handle at the moment--sad), lock-off kips (see Patxi’s vid) 8. Wall Clock. Hang, two arms big ball pinch (Kehl board) to failure w/weight (a lot of weight in this case). Campus—touches, 4 each side (1-4-1 is one) or to failure, Ab swings (this is on a steep wall, one foot on extended, cut feet swing out, replace other foot, alternate) 10, Wall Angels 1 minute (holding each up position for a slow six count). This workout should be treated as a template where you add/subract things based on your personal needs. For sure it could be a bit more involved but it’s power training, where short and focused is almost always superior to long and compromised. Hopefully further understanding of postactivation potentiation will lead to revelations over the winter. My climbing specific postactivation potentiation training is finally coming into focus. The downside is that with October around the corner I only have another week or so to test it before I’m climbing 100%. The upside is that I see winter training going very well indeed. But we’ll get to that during winter. For now, the goal is to integrate the Workout From Hell into climbing (i.e. convert the big dumb muscles I created into explosive and efficient machines). Since the WFH isn’t climbing specific the PAP workouts should not be either. So I’m splitting each week into lower body, upper body, and climbing specific (trunk/core done differently each day) with the rational that if the entire body was trained in the base phases all the new muscle must be coverted to enact higher threshold muscle cell motor units. Today we will look at a sample upper body routine. I am 100% convinced that the best climbing training is specific, and this is not. The WFH is offseason conditioning only. In the on season there should be a peak where all you do is climb, perhaps with a day per week doing a maintenance workout. There is also a question as to whether or not legs and trunk should be trained much for climbing. Certainly weight gained in this area is a bad idea and no amount of muscle strength will offset gravity. Trunk of course is vital but legs trained effectively can become efficient without gaining any mass. I feel it’s helpful, especially if any muscular imbalances exist (and they likely do) and you do any sort of approaches during your climbing season. I’m only doing each workout one day per week, then climbing outside (still pretty easy) two days and doing one long easy day of something (hiking, riding, climbing long easy trad routes). Ideally I would do two per week but given there is a lot of trial and error and I want to peak soon not overtraining is a priority. An example leg workout was given in the last post. Keep in mind these are only samples and are based on what my weaknesses are. They are generic enough that you should be able to experiment with them youself. The warm-up is dynamic. After some easy mobility movements (reachers, huggers, other 90X stuff) I do 3 sets of 10 reps of 4 different exercises with the bands: flys, one-arm rows, military presses, bus drivers (band version is pulling the bands to each side). These sets are light. I follow this some dynamic medicine ball movements to activate fast-twitch muscle fiber, followed by foam rolling my upper body muscles: 3 sets. Curl to Press (done slow with max weight) 5 reps, Clap push-ups (exploding as high as possible) 6, Inverted Rows (upside down push-up or pull-up with feet high so body is horizontal) 10, bus drivers (heavy band this time) 20 seconds. Towel pull-ups (holding onto towels for forearms) 5, Push Press 10, Low to High Wood Chop w/heavy weight 5, Wall Clock 8 pumps each side (sort of like this). Core Work is two sets of 2 minutes of plank on elbows and 1 min or supermans. When I look at these workouts on paper they don’t look so bad but they absolutely destroy me. I think it’s because I’ve so little power work and so much endurance work over the last decade. Then again, at P3 I see a bunch of folks who do power sports for a living struggling as well, so maybe it will always be like this. 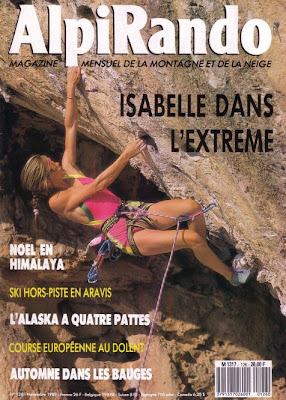 pic: isabella dans l’extreme, at least in her fashion sense, in another amazing cover of alpi rando, certainly the only magazine ever dedicated to edgy women’s climbing fashion. His account of kayaking with blue whales off the coast of California. So get to the gym, on your bike, lace up your trainers or just push play. Because the next time a pod of blue whales decide to swim past your house you don’t want to miss the chance to frolick with them just because you can’t paddel your kayak a few miles. Thanks to Denis for the post and Miz for the title. Today let’s get back to the Workout From Hell, which has now moved way beyond Largo’s vision. I’m still working with PAP training, and will post my actual workouts when I feel as though they are good. Currently it’s a lot of trial and error. I call this phase of training Integration since it takes the base fitness gained during the program and integrates it into sports specific strength. As usual, I put too much verve and too little caution into my first trial with PAP, which forced me into a recovery phase to avoid injury. So I’ve taken nearly two weeks off of intense upper body work. My recovery has included some intense lower body PAP workouts that are addressing some hip instability. After 12 weeks without a break a recovery block was in order anyway. I should have scheduled it prior to needing it. 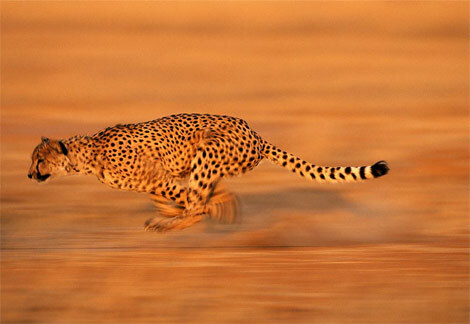 I move through each complex steady, not resting but also not hurrying. The key is that each movement should be hard and done at 100%, which perfect form. I then do another complex series of three movements, and then cool down with some mobility workout that features a lot of proprioceptive neuromuscular facilitation (PNF) stretching. I realize the above sample is not very climbing specific. That’s because I’m unsure how to best accomplish a climbing-specifc complex series. I’ve been experimenting with the usual suspects: campus board, hangboard, systems wall. I think I’m on the right track but still searching for the “a-ha” moment when I know I’ve stumbled on that perfect sequence. So far I’ve done no bouldering. I’ve been steadily climbing but it’s all been static and controlled in an attempt not to cross over the slow and controlled movements of the WFH. 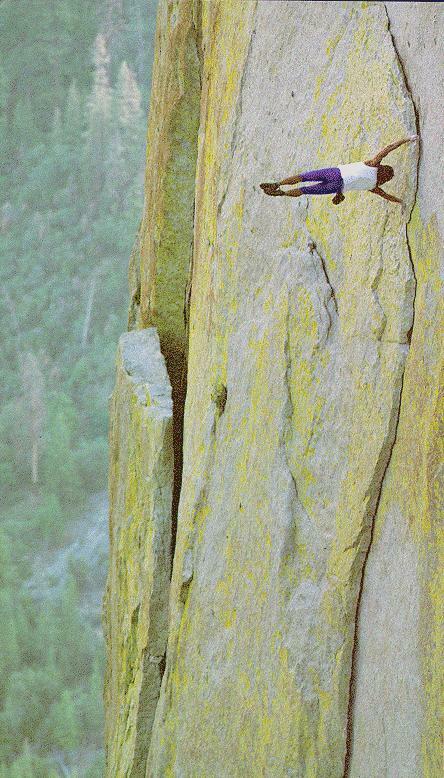 As integration progresses I’ll introduce dynamic climbing back into the equation. pic: the legendary ron kauk integrating his strength onto the rock. chi is also a form of integration, hence the karate pants for added power. Is what happened to my legs and trunk last week at P3. I was back in Santa Barbara trying to learn more about their methods and figure out how we’re going to teach them to the general public. After three hours of body assessments, training, and physical therapy I was utterly destroyed. I hadn’t had such a power-oriented workout since I was playing college sports and such a scientific analysis of the way I moved in my life. My initial days at P3 had been spent observing and studying. Step 1 was to read the science behind Postactivation Potentiation (PAP) training and start to understand how P3 applied it to their athletes, which is quite different to how it’s applied elsewhere. Each athlete gets treated as an individual so it is vital for me to understand where all of their training interconnects because, obviously, we can’t do this. I’ve been looking for common ground that all athletes share or, more precisely, common weaknesses. Having paid numerous visits to P3 in the last couple of years I can see its effect on their long term athletes. Chicago Bulls sharpshooter Kyle Korver has been at P3 every time I have. Now he’s always the one acing every workout amid a lot of strugglers. So much so that Utah Jazz big man Al Jefferson, on his first visit to P3, jokingly—sort of—didn’t want to be matched next to him in any drill. When Korver got healthy last year he led the NBA in three point shooting. Jefferson is already a star, though an often hobbled one. If he can get healthy he could end up in the Hall of Fame. The workouts at P3 are very systematic. They don’t necessarily look intense as there isn’t a lot of screaming and grunting that’s often associated with hard training. But because most sets are done until power failure their effect on the body is pronounced. Athletes look at video, study form, and try to make improvements in each subsequent set. Holding form during intense outputs is such a vital component of sports performance that relaxation is one of the key parameters targeted during P3’s training. Staying relaxed and keeping form under duress is often the difference between not only success and failure but injury and health. When Elliott took over the training program for the New England Patriots their rate of non-contact injuries dropped to almost nothing. The adaptation to such training can be rapid in talented athletes, and I noted large improvements in Jefferson’s movements in just two days. Finally it was my turn in the barrell. Given that I was coming off of a back injury I wasn’t surprised by how pathetic I was. I was surprised, however, that we not only found the cause of a longterm problem in my hip but probably also found the reason for my back injury. It was also interesting to see some of my performance numbers increase even as my muscles grew tired. By focusing on technique through each movement neuromuscular patterns improved. So much so that in one agility drill I outperformed my early workout test and the very end of the session when my legs felt like rubber. 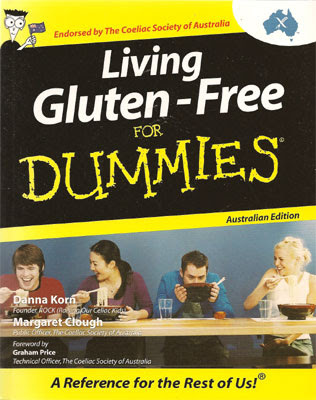 I can’t begin to imagine how this training would have changed my athletic career. The title of this blog, incidentally, is in reference to a little side bet I made with pretty much the entire staff at P3: that I couldn’t hit a home run. This was based on my power readings in a rotational strength test, though physical therapist and endurance athlete Mike Swan said he’d take the bet simply on the fact that I was wearing a t-shirt from an ultra marathon that I’d done, “no one who finsihes a race like that can hit a home run” was his assessment. My numbers were about half of a MLB player and at P3 numbers don’t lie. Actually, they had some precidence as one of their trainers tried taken the same bet and missed by “about 100 feet” according to the players. This seems strange to me since in batting practice conditions I used to be able to hit home runs at will. But I suppose it’s possible. My vertical jump is barely half of what it used to be, and I’m sure my sprinting is much much slower. Aging power athletes don’t fare near as well as aging endurance athletes. Still don't believe it but I'm probably just hanging onto the past. Certainly, all of those hours in batting cage perfecting my swing will see me through. 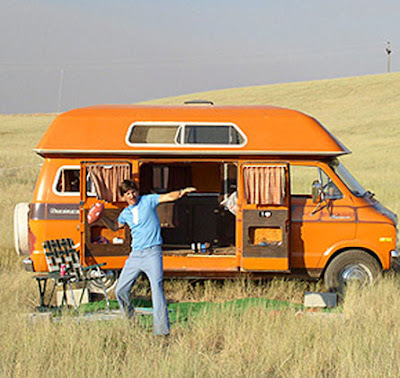 We'll see next trip 'cause, you know, back in '82, I used to be able to throw a pigskin a quarter mile. pic: how much you wanna make a bet i can throw a football over them mountains? French cyclist Laurent Fignon died this week which, if you’re a cycling fan, you already know. Fignon was an ambassador for the sport who was involved in cycling for his entire life. He was a two-time winner of the Tour de France but, in America, he’s remembered for the guy who came in second in the greatest Tour in history. My memory of the man comes from how that particular race changed my life personally. I’d always liked cycling as a sport. I follwed the Tour as well as an American could in those days, which meant that I knew most of the big name grand tour riders, had heard of Eddie Merckx, and knew that the USA finally had a rider who had won a Tour in Greg LeMond. LeMond, however, had been accidentally shot and his career was supposedly over (according to the press) when the Tour began in 1989. During the Giro d’Italia, just two months prior, LeMond was so far behind the major riders that “the leaders literally could have stopped for a cappacino and not worried about him(sic)”, a line that stuck in my head, I recall, because I was so disappointed we wouldn’t be getting much Tour coverage without an American challenging for the win. Then LeMond won the stage 5 time trial, taking the yellow jersey, which ensured we’d get some race coverage. It also succeeded in turning me into a cyclist. Inspired, I cleaned up an old bike and, as the race progressed, did longer and longer rides until I was finally riding Tour-worthy mountains. LeMond and Fignon spent the next three weeks trading the yellow jersey back and forth. In between they swapped psychological barbs. The press and the fans ate it up. It was epic; each day would present a new twist. And just when it seemed to settle in, one of the two would crack and the jersey would change hands again. On one stage in the Alps LeMond was clearly stronger going up hill. And since he was besting Fignon in the time trials the race seemed over. But less than 24 hours after being clearly inferior on a summit finish, Fignon counter-attacked LeMond on the famous climb to Alpe d’ Huez. Legend has it that Fignon’s coach, Cyrille Guimard, saw a weakeness in LeMond’s pedal stroke, assumed his attack was a bluff, and told Fignon to counter. It worked, and LeMond found himself out of yellow and 26 seconds down. At the finish, LeMond did the math and said on TV that he could still win the race in the final time trial. None of the stages leading up to it seemed to be difficult enough to make a difference amongst the leaders. Fignon, too, must have been doing some math because the following day he rode one of the coolest races in the history of cycling. Fignon had been taunting LeMond throughout the race that he didn’t behave like a leader. He felt, in the old school tradition, that the man in the yellow jersey should stamp his authority on the race. Panache dictated this was how you rode. He had no respect for LeMond’s strategic style. To prove it he attacked the entire peloton on a lumpy stage. Today the the thought of seeing the yellow jersey alone in front of the race on anything other than a big mountain finish is like fatansy. But in ’89 Fignon did it; riding alone and putting time into LeMond, which is even more astonishing because LeMond knew that every second he lost was massive. But on the final time trial panache did Fignon in. LeMond used a new technology, triathlon aero-bars and an aero helmet. Fignon felt this was an affront to the sport. Not only did he ride sans aero equipment but he didn’t wear any sort of helmet, which allowed his blond pony tail to fly in the wind. It was the ultimate act of defiance to modern sport and technology. Fignon surely thought the Tour winner should finish with his face uncovered for all to see. Instead, he lost by 8 seconds—closest margin in Tour history—and fell to the ground in exhaustion. He’d ridden over 33mph, very respectible for the day. To beat him LeMond had to ride what was til then, and for 15 years after, the fastest time trial the Tour had seen. All these years later and I still can’t watch my old video of the 1989 Tour without getting chills, or wanting to get on my bike. And, while I rooted for LeMond, whenever things turn grim and I need inspiration my thoughts always turn to Fignon, in yellow, riding away from the peloton.